Your day-by-day itinerary now includes Wellington Botanic Garden. Museum-lovers will get to explore Museum of New Zealand Te Papa Tongarewa and The Great War Exhibition. 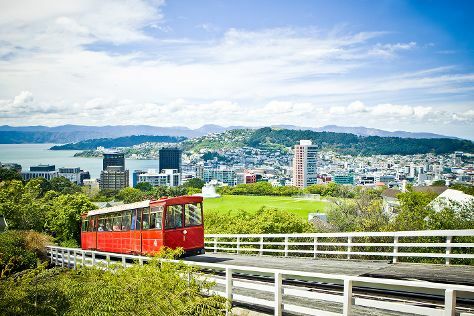 It doesn't end there: take a memorable ride with Wellington Cable Car and take in the views from City to Sea Bridge. For maps, more things to do, ratings, and tourist information, refer to the Wellington day trip planner . Pukekohe to Wellington is an approximately 4-hour flight. You can also drive. Traveling from Pukekohe in January, you will find days in Wellington are a bit cooler (23°C), and nights are about the same (16°C). Wrap up your sightseeing on the 29th (Mon) early enough to travel back home.